Only 1/4″ in diameter, Modest Magnets are strong enough to hold 24″ x 36″ posters (or use 6 magnets for even larger sizes). 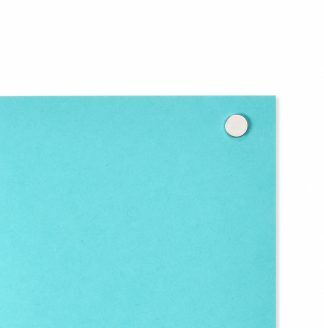 The thumbtacks stick in the wall behind the poster. The magnets sit on top of the poster, magnetized to the thumbtacks, holding it up. 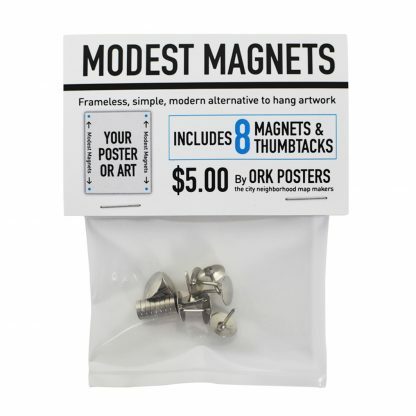 Pack includes 8 chrome magnets & thumbtacks, enough to hang 2 posters or prints. Instructions included. 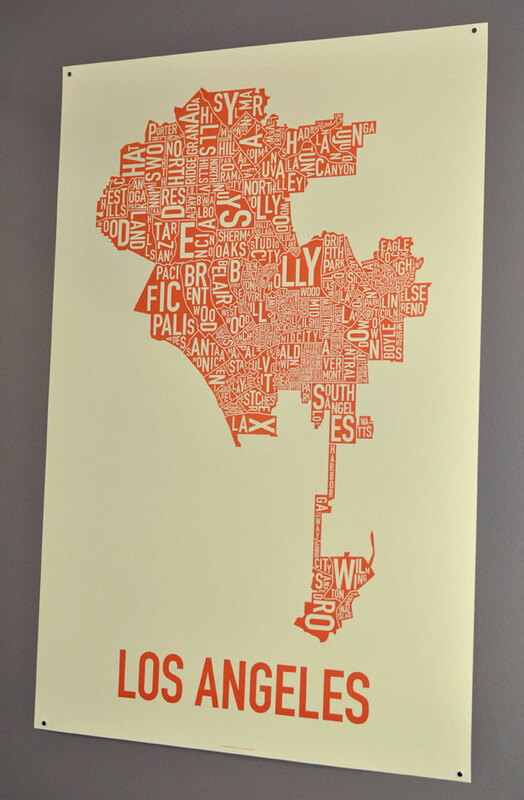 Orders process in 1-3 business days and ship via USPS First Class mail (to domestic and international locations). 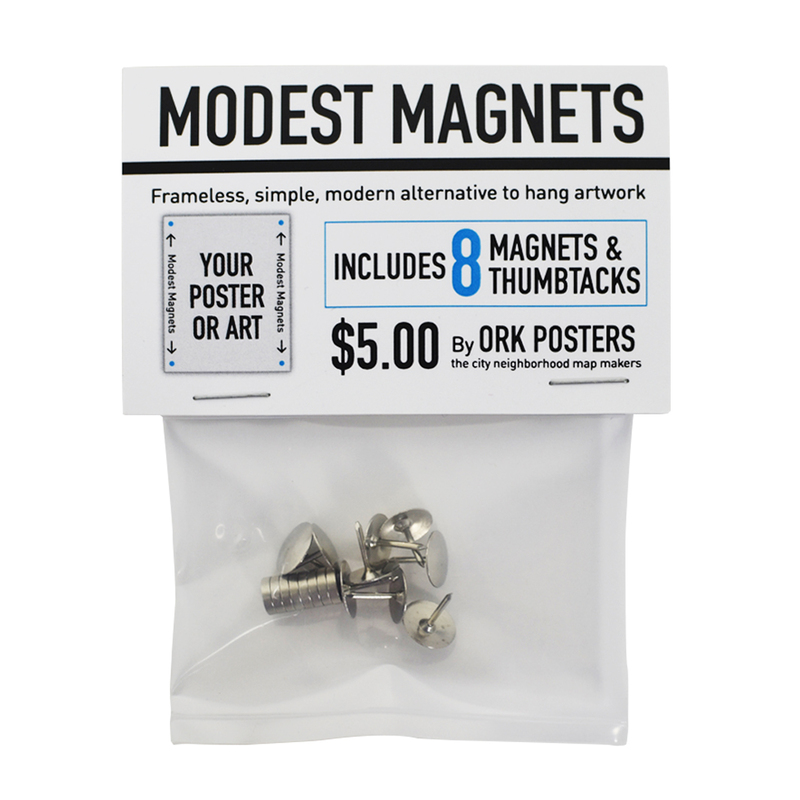 If purchasing with a poster or screen print, magnets will ship inside the poster tube via USPS Priority, USPS First Class International or Canada Post Parcel to Canada.